If your furniture needs updating or if you love the style of your sofa and chairs you have now, then it’s worth recovering. No matter what you need to reupholster, we can create just the piece you envision. Choose your fabric and filling! We work with vinyl, cloth, leather–you name it we work with it. We also check the frame and construction of your furniture and we will let you know if there are issues you need to know about. 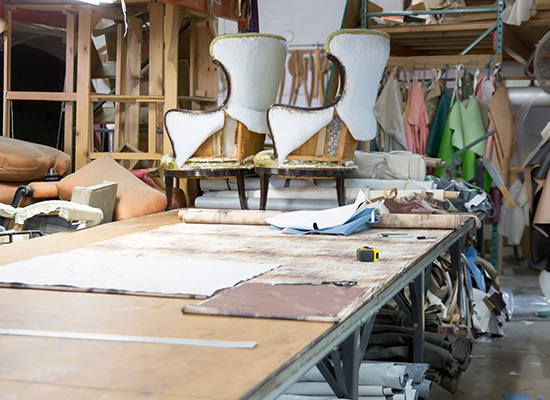 We also make Custom Chair Cushions, Ottomans and Window Seat Cushions, etc… Other services our Reupholstery department offers: •Auditorium Seating Reupholstery. •Church Pew Reupholstery. •The Reupholstering of your existing Steelcase, Herman Miller and Haworth workstations. 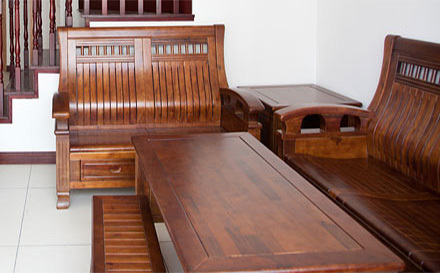 Why replace your old wood furniture? Just let our experienced craftsmen give it a facelift. 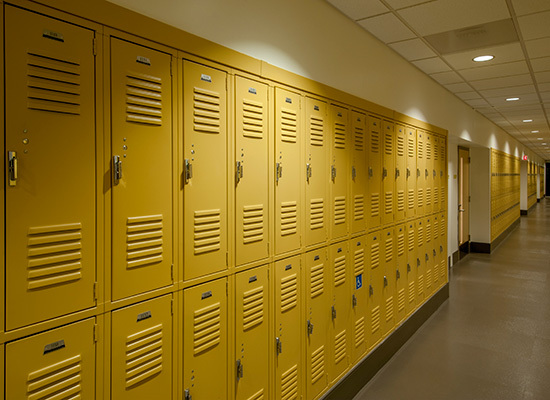 We can refinish all types of commercial wood furniture such as : Desks,Bookcases,Chairs,Built in Wall,abinets,Tables,Conference Tables,Church Pews, etc. Since we are professionals in this area, we know wood and how to clean and maintain it. 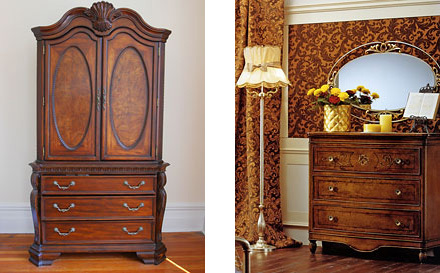 We can repair normal wear and tear, nicks, scratches, cigarette burns and more on wood furniture. Electrostatic is a term used for a special type of coating application. The special electrostatic spray gun charges the refinishing material with a positive electrical charge. The material is attracted like a magnet to the item. This assures uniform coating application with no fog. Electrostatic Painting is the only way to refinish existing ON-SITE metal to a once again new product finish. What can be electrostatically painted? Desks, bookcases, file cabinets, etc. 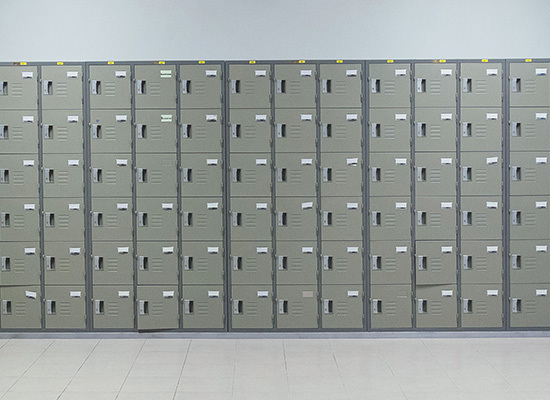 Laboratory Equipment, Student Lockers, Restroom Partitions, Chain Link Fences, Elevator Doors, Metal Workstation Components (Panel frames, pedestals, binder bins, etc. ), ATM machines. We are covered by all applicable licensing, Property Damage and Workers Compensation Insurance. Refinish metal desks, file cabinets, bookcases, etc., with a solid finish applied inside and out. All moving parts are lubricated to ensure maximum usability. 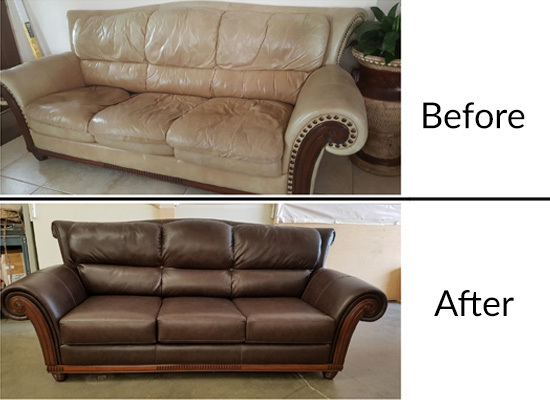 This process leaves your old metal furniture looking brand new! 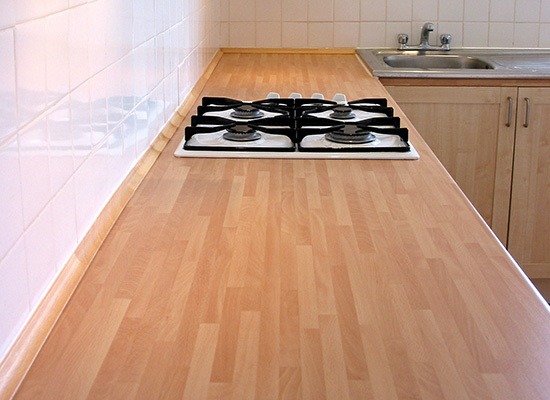 Laminate is fun, it’s affordable, it’s easy to live with, and it looks terrific. No matter what your budget or style is, you will find a product to fit your needs. 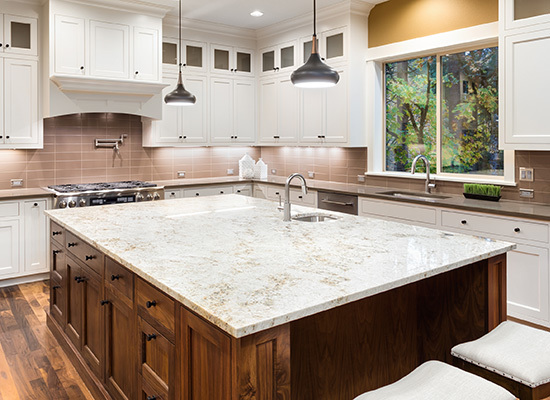 New technology and design advances can help you create a countertop that is yours alone. 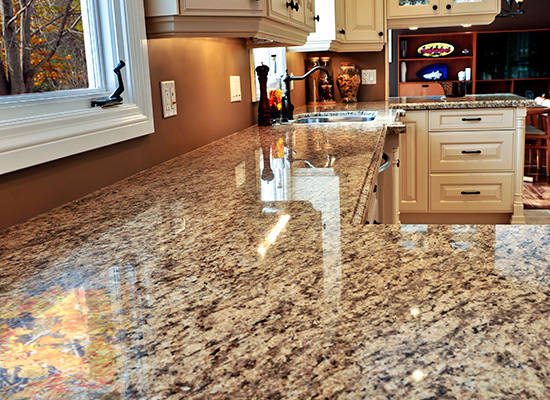 Laminate countertops are know for their easy care. While other homeowners see everything as a stain about to happen, you can relax with laminate! Whatever pattern and color you choose, the beauty will be yours at a price you can celebrate. A new look is yours for less, leaving you with more to spend on special extras. 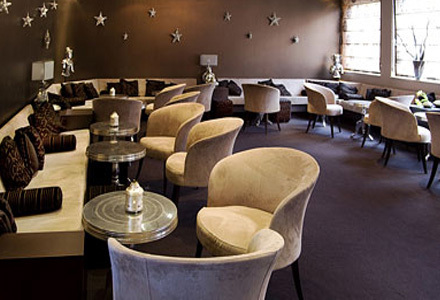 Laminate offers the widest array of designs of any surfacing material. Decorative Edges give you even more ways to dress up your countertop. 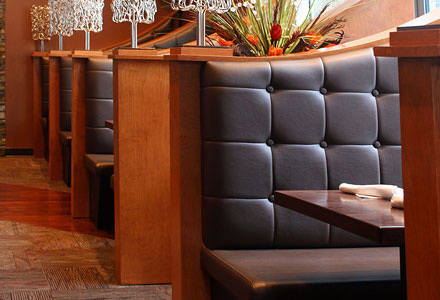 We can reupholster existing booths, bar stools,chairs and sofas or manufacture it new to fit your needs. 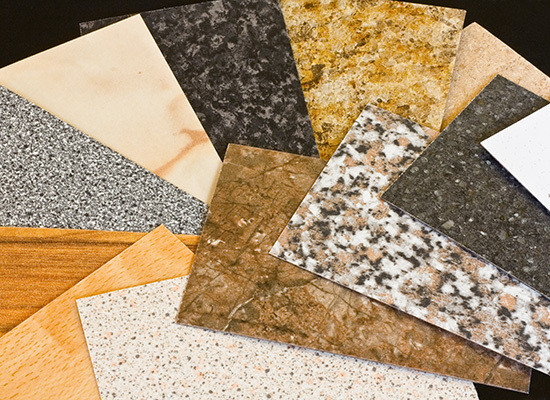 We also offer Counter top & table refinishing, “Bar Top Finish- nice and durable”, and laminating, “New or existing”. Corian has been delighting homeowners, designers and architects with surface renowned for their beauty and durability. Today DuPont Corian enables your creativity with the latest colors and innovative concepts like the Illumination Series, which lets you design with lighting effects, and our Terra Collection made with recycled content. Flexible and Versatile: Corian can be carved, molded, textured and routed to conform to your imagination.Nonporous and Stain Resistant: Spills do not permeate the surface and, with the proper cleaning, Corian does not promote the growth of mold and mildew.Durable: Tough and long lasting so it stands up to heavy use. Superior UV performance; passes ANSI/ICPA SS-1-2001 test for color fastness.Can Be Renewed: Since the color runs all the way through, marks and scratches can be removed easily to restore Corian to its original appearance.Standard Compliant: DuPont Corian is NSF/ANSI Standard 51 Certified for food contact.Contributes to Sustainable Design: DuPont Corian and its adhesives and sealants meets or exceeds emissions guidelines for volatile organic compounds (VOCs), are low emitting, and have been proven to be nontoxic and non-allergenic to humans. DuPont Corian is GREENGUARD indoor Air Quality Certified.